Places to see in Jhandi: The sight of flaky clouds rising up from the Dooars valley, or the sight of yellow fog gently floating along the valley during sunset definitely makes for excellent photography and a lasting memory for the guests. This is combined with excellent and majestic views of the Mt. 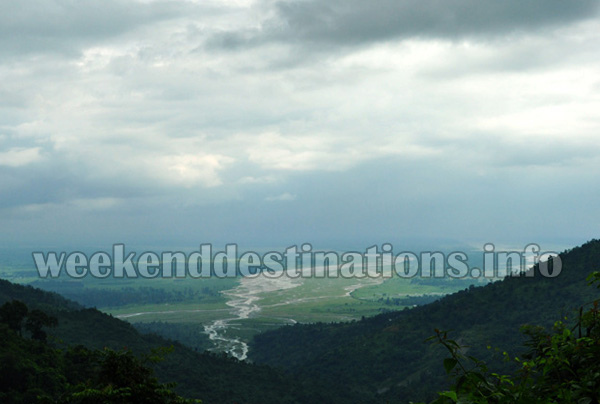 Kanchenjunga as well as neighbouring mountain ranges and the snaking Mahananda River down the Dooars valley. 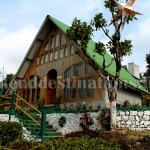 The Sunrise and Sunset Point is definitely one of the star attractions of Jhandi. From here, exceptional views of both the rising as well as the setting sun could be observed along with the Mt. 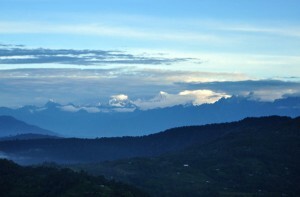 Kanchenjunga range. The sight of the sunlight slowly making it’s way over the mountains, and filtering through the mist, definitely is a moment worth capturing. This is further complemented by the calmness of the environment, except for the soft chirping and whistling of the birds in the surrounding forest. The Samabeong Organic Tea Garden surrounding Jahndi is well known for employing Biodynamic farming in the tea cultivation. Owing to their particular cultivation technique, Samabeong teas have become widely known both within and outside India for their unusual, distinctive flavour. 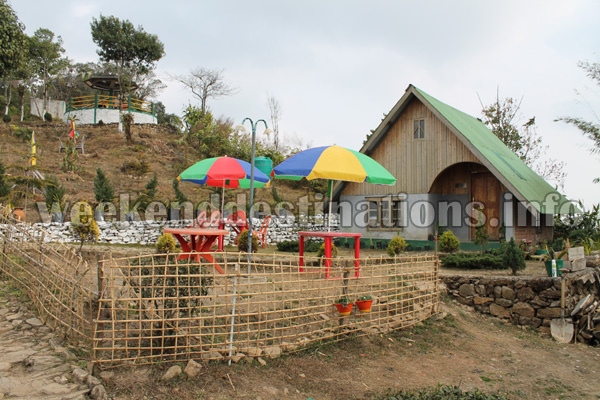 Tea lovers will definitely enjoy their visit to the tea garden, where they can spend quality time in the cool, clean environs. The visit to the garden is both rewarding and relaxing, as lucky visitors may get to sip a cup of Samabeong brew to soothe their tired souls. 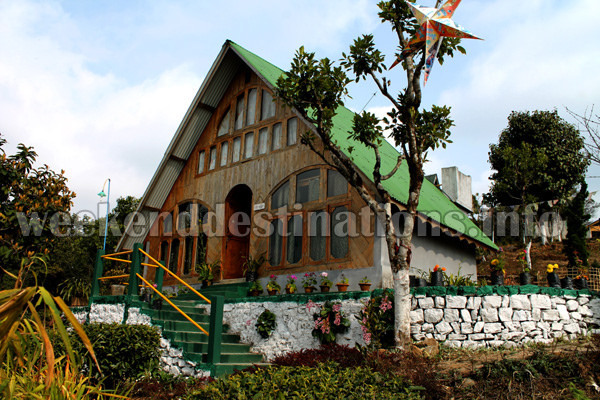 Nearby Attractions of Jhandi: As Jhandi is situated near to Gorubathan, guests staying at Jhandi can easily travel to the lush, tropical evergreen forests of the western Dooars region like Gorumara and Chapramari. The Lava Buddhist Monastery just 09 kilometres away is perfect for those tourists who wish to spend a bit of quiet time from all the usual hustle and bustle of the travel, as well as for the spiritual who wish to reflect over things in a calm and peaceful environment. Among the major attractions are a 1000 armed Avalokiteshwara temple within the monastery premises, and various scriptures and figurines of important Buddhist religious figures. The famous Changey Waterfalls with its peaceful, lush and green surroundings can be the perfect relaxation spot. The sight of the water cascading down into white foam can be an awesome sight to behold. 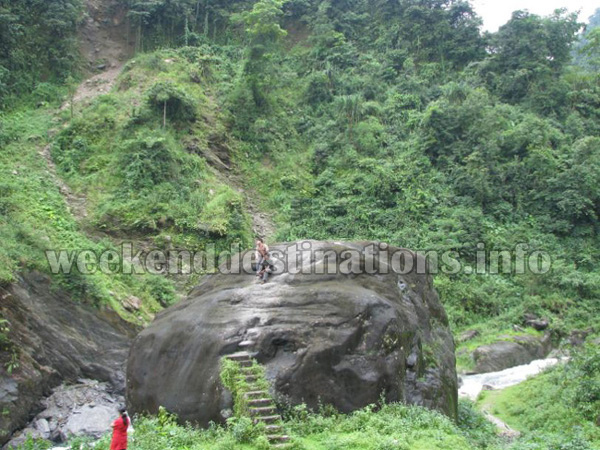 Nearby Fafarkheti in Gorubathan area is a picture-perfect village and an ideal picnic spot with the meandering Chel River and surrounding jungles. You can also visit the ruins of Dalim Fort, located high above Gorubathan for the remains of a Bhutanese fortress, hemmed in on all sides by thick forest cover. 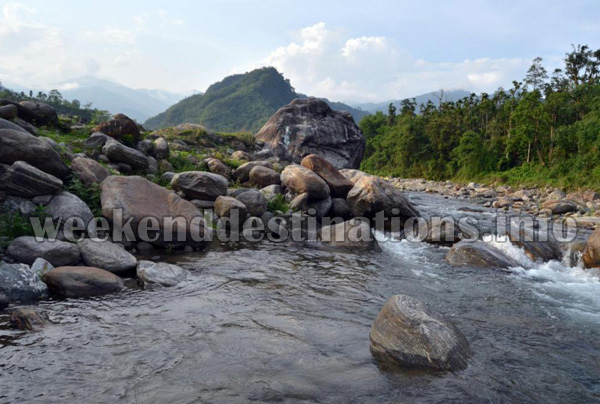 Things to do in Jhandi: With it’s awesome and evergreen forest cover, and it’s profusion of sub-Himalayan flora and fauna Jhandi provides the perfect place to go on long, organized or unorganized hikes through the forests, hills and tea plantations. The Kolakham area just below Lava boasts a lush and widespread cover of pine forests, which are excellent places for trekking. The evergreen forests of Jhandi are home to rare, Himalayan bird species like the Blue Whistling Thrush so bird watching can be in your itinerary. You can also walk around in the surrounding tea gardens or arrange picnics at Loleygaon or Fafarkheti. Best time to visit Jhandi: You can visit Jhandi anytime of the year. The monsoon brings new leaves to the Sal trees in the forests and gives it a heavenly hue. The winters are known for the views of Mt. 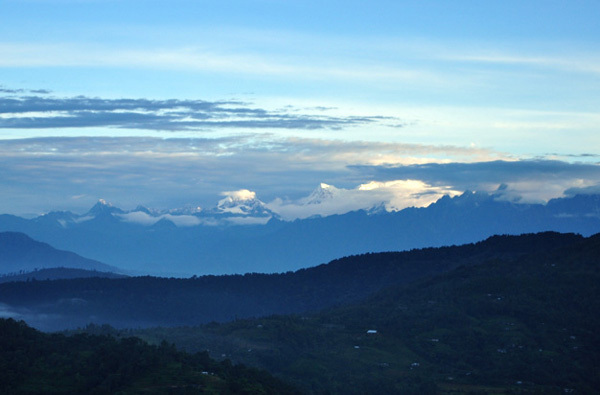 Kanchenjugha and the valleys and the sunrise and sunsets. 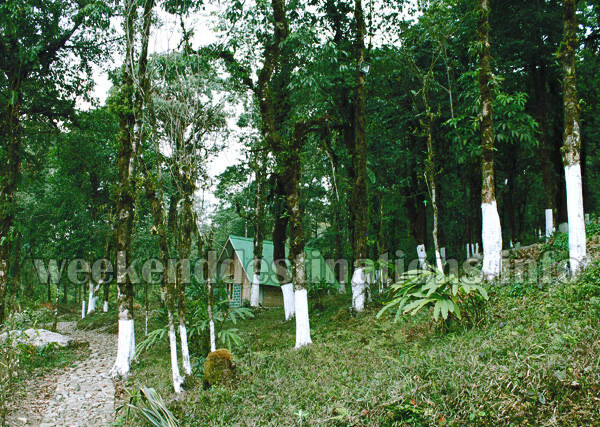 How to reach Jhandi: Visitors may travel from Siliguri, and take the winding road through the Mahananda forest, and travel up to Sevoke. After crossing Sevoke, you can continue over the Coronation Bridge and continue straight. It takes approximately 1.5 hours to reach Jhandi from the New Mal Railway Station. You can also reach Jhandi from Kalimpong via Lava. 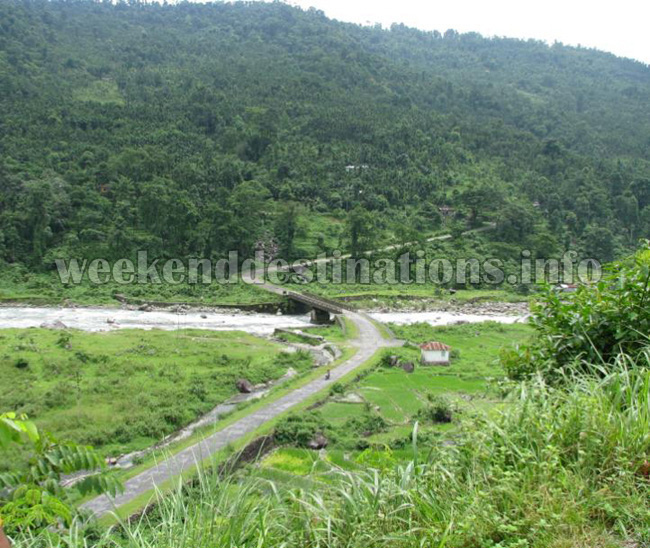 Jhandi is around 32 kilometers from Malbazar and 87 kilometers distance from Siliguri. 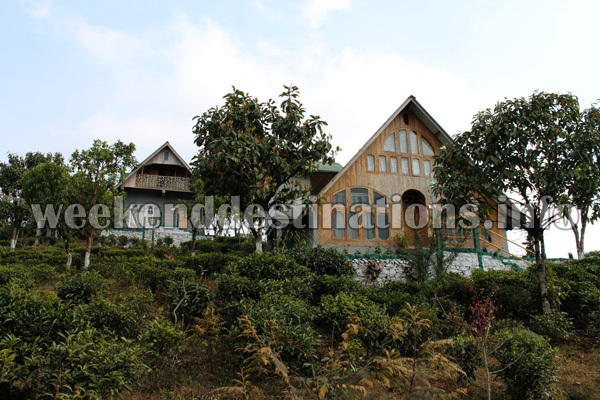 Lodging and dining facilities at Jhandi: Surrounded by forests and tea estates, the resort in Jhandi has 14 rooms in all categories in its wooden cottages. All the cottages are spread throughout the resort area with tea gardens, lawns and forests around them. 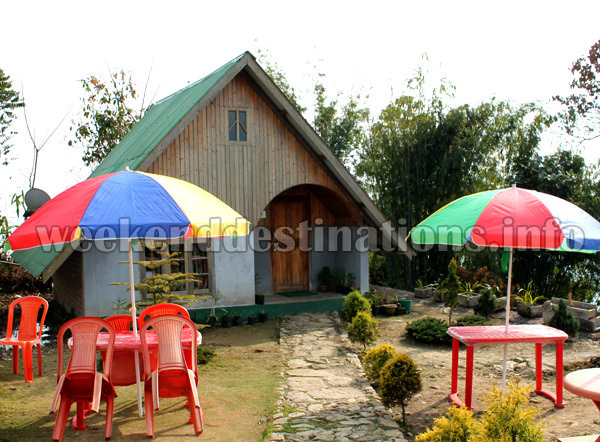 All cottages have views of the valleys and the surrounding forests. 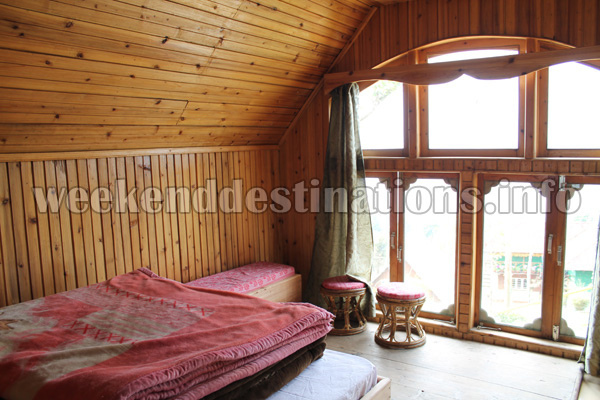 There are deluxe double bed cottages within the forests, then there are duplex cottages, double bedded rooms, Triple bedded rooms, Four bedded rooms and even six bedded rooms in larger cottages. 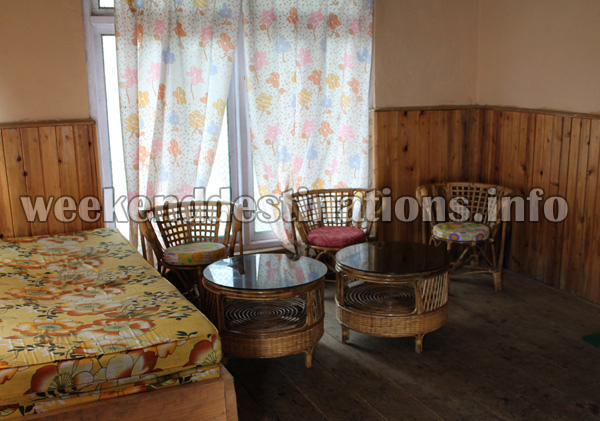 All cottages have balconies and sit-out areas. All modern facilities like attached western bathrooms, hot water geysers, generators, tea maker etc. are available in all rooms. Transport arrangements can also be made by the resort. Food is essentially Indian in nature and is served in-room as well as in the dining hall.